Register for the Get Ready to Run! 5K Training Program today! The Glastonbury River Runners offers this 9 week training program to encourage local friends to get up and move! Let us help you reach your goal of completing a 5K (3.1 miles). Through this nine-week training program, we are here to offer you group support, motivation and fun along the way! Not only will you complete your goal, but you also will meet some fantastic running partners in the GRR family. You can do this and we're here to help! Wednesday sessions begin at 6 p.m. at Sound Runner, 63 Hebron Avenue, Glastonbury CT.
Training will be held rain (unless there is thunder & lightning) or shine. Weekly emails will be provided with details on the goals you should have for the current week. Participants will train at the pace that they feel comfortable with to achieve their weekly goals. This training is about YOU accomplishing YOUR goal of completing the 5k distance at YOUR own pace. Various coaches will be spread throughout the group to support ALL pace levels. All coaches are previous graduates of the program and current members of the Glastonbury River Runners. 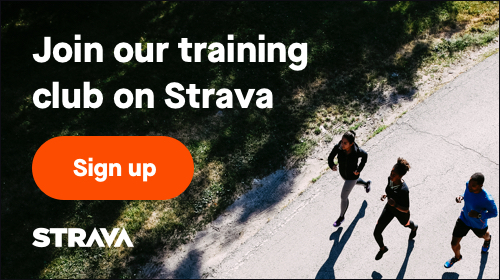 Additional training segments on your own (or with a friend) are recommended. Doing the suggested workouts is what will help you successfully reach your goal. Our training program includes FREE entry into our Firecracker 5k race on June 30 from Rotary Field in Glastonbury. Celebrate completing the journey with friends! All you have to do is register, show up, and we will get you to the finish! The GRR Family looks forward to getting to know you, supporting you and cheering you on as you cross that finish line! To better keep the group focused and assure we have the proper amount of coaches to assist you along the way, registration for this session is limited to 50 runners. Get your spot early! As with any exercise program please consult with your physician prior to beginning. -Race entry to the Firecracker 5k on June 30!